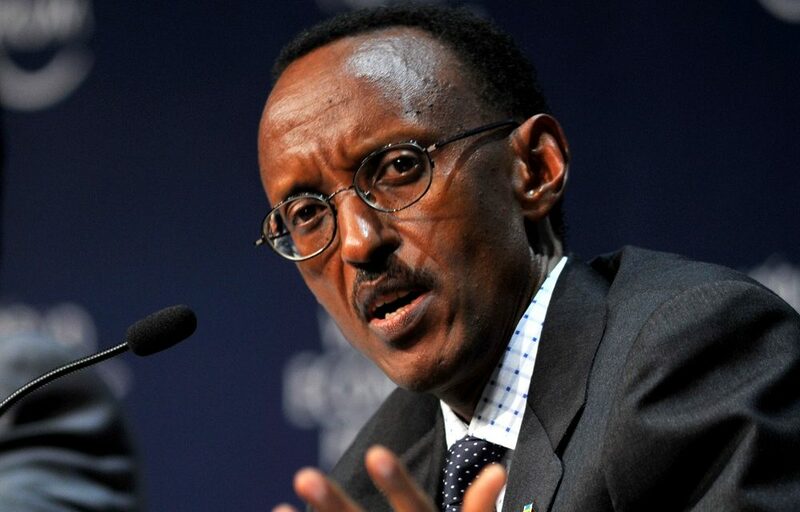 Rwanda’s former intelligence chief Patrick Karegeya, who was found strangled in South Africa, was under investigation by Spain for the killing of Seth Sendashonga, a staunch human rights defender and former Rwandan interior minister. The revelation comes amid attempts by Spain’s right-wing government, the ruling People’s Party, to stop Spanish judges from investigating and trying cases of war crimes committed outside its territory. A court in Madrid was seeking to indict Karegeya, an erstwhile ally of President Paul Kagame, for having allegedly organized the 1998 assassination of Sendashonga in Kenya, said a lawyer representing the families of Spanish, Congolese and Rwandan victims of crimes against humanity. “We had evidence from witnesses that Mr Karegeya was the organizer of the killing of the former minister of interior of Rwanda Seth Sendashonga in Nairobi,” said Jordi Palou Loverdos, who helped a Spanish court indict 40 senior Rwandan officers on war crimes charges, in a case of universal jurisdiction. Sendashonga, an ethnic Hutu moderate and fierce critic of Kagame, was being driven to his residence in the Kenyan capital in May 1998 when two men armed with AK-47s unleashed a hail of bullets on the UN vehicle he was traveling in. “We didn’t have the opportunity to indict Mr Karegeya even though we were working on it. Sadly he was killed in January,” Palou Loverdos said. Karegeya, a former spymaster who fled Rwanda in 2007 and became a member of the opposition Rwandan National Congress was found dead in a Johannesburg hotel room on New Year’s Day, apparently strangled. Kagame denied having a role in Karegeya’s murder but told the Wall Street Journal that he ‘wished’ Rwanda had indeed carried out the assassination. Karegeya is believed to have amassed a trove of information implicating the Rwandan president. Before his death, Karegeya had offered to testify against Kagame but the court kept its distance because an investigation was ensuing into the former spy chief’s past activities, Palou Loverdos explained. The court was hearing evidence against Karegeya relating to his intelligence activities abroad, particularly in the Democratic Republic of Congo, when he was director general of Rwanda’s External Security Organization and notorious for eliminating Kagame’s enemies. In 2008, Spanish Judge Fernando Andre Merelles indicted 40 officers of the Rwandan Patriotic Army on counts of genocide, crimes against humanity and terrorism committed in the 1990s and early 2000, in a case of universal jurisdiction before the court. The doctrine of universal jurisdiction contends that crimes of genocide and torture are so serious that people accused of committing them can be tried anywhere, even in countries where the crimes did not take place. In a move that grabbed headlines in 1998, Spain issued an international arrest warrant for ex Chilean dictator Augusto Pinochet on charges of genocide, terrorism and torture. Pinochet was put under house arrest in London but was never extradited to Spain. He died in Chile in 2006. Kagame himself is exempt from being prosecuted because the Spanish court does not have jurisdiction to indict a sitting head of state. The indictment issued in 2008 against Kagame’s senior officers is now in jeopardy after Spanish MPs voted in February to severely restrict its doctrine of universal jurisdiction and abolish retroactive cases. Under the proposed legislation, perpetrators of war crimes would only be prosecuted if the accused resides in Spain or is a Spanish citizen. Spain, which has been economically battered by the recession and seeks stable trade relations with China, sought to reform its laws after its investigative court issued arrest warrants against former Chinese president Jiang Zemin and four senior Chinese officials over past war crimes in Tibet. Rights activists slammed the move, saying it amounted to abolishing universal jurisdiction altogether and that Spain would lose its reputation for holding abusive leaders accountable. “It’s a tremendous setback for human rights in a crucial country where the courts were pioneering the universal jurisdiction principle,” Palou Loverdos lamented. But he predicted the government would face legal challenges because the bill appears to violate Spain’s constitution, which forbids enacting retroactive laws and requires the state to uphold international treaties. He said the government would have legal difficulty abolishing indictments against Kagame’s Tutsi-led regime in light of a 15-year investigation on behalf of Spanish victims who included aid workers and priests allegedly killed by Kagame’s army during and after the genocide. He also said Spain is a signatory to the Genocide Convention and four Geneva Conventions and therefore is legally compelled to respect these treaties at a national level. “Our constitution has an article stipulating that whenever Spain signs and ratifies a convention, this comes into force directly in Spain’s internal legal system as if it were national law,” he explained. Palou Loverdos said a public awareness campaign is underway and city councils across Spain have begun sending petitions to parliament urging the conservative party not to pass the law. The Spanish investigative court, which operates independently from the government, has faced enormous hurdles since issuing the indictment against Rwandan officers. So far, none of the 40 accused have been extradited, even those who’ve resided in the United States and South Africa. Palou Loverdos said the US State department has tried to politically meddle and lobby the Spanish government to quash the court’s efforts at establishing international justice. A US embassy cable revealing US lobbying efforts was released through WikiLeaks. “It wasn’t Rwanda exerting pressure, it was the US State Department and its officials,” Palou Loverdos stated. But Spanish lawyers insist they will continue investigating war crimes allegedly committed by Kagame and his army, and are preparing a new round of indictments. “What I can tell you is that we are still collecting evidence and it’s being brought to court,” said the lawyer, adding that protected and public witnesses were currently testifying before Judge Merelles. The latest person to testify was Theogene Rudasingwa, former cabinet chief for Kagame, now in exile in the US. “Rudasingwa knew about many decisions by Paul Kagame because he was present,” Palou Loverdos pointed out.